It’s a new year and the KZN branches were planning and preparing for open day and prize giving. Indeed all of the hard work paid off and was a success. The branches then decided to surprise the learners with a trip to uShaka Marine World. The trip not for all but for the learners awarded and deserving as it was a way to show each learner that their hard work and dedication to committing themselves to their work is recognised, so IkamvaYouth decided to take all winners on a trip to uShaka Marie World. Here the Umlazi Branch met up with the awarded learners from the Chesterville Branch together they took a journey into the sea world learning so much about the different types of creatures that live in the ocean. All learners were so eager and asked a lot of questions and couldn’t stop taking photos of such beautiful creatures. The fun did not end there they got an opportunity to also see the Dolphins at Sea World Stadium as they were putting on a magnificent show for them. 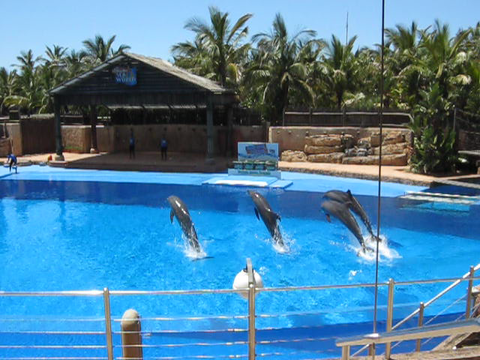 There was a lot of singing, dancing and cheering as the wonderful staff from the Sea World kept everyone entertained. It was a long beautiful day for the learners but it was not just all about fun and games, they also learnt a lot especially about how to take of such creatures as well as what career opportunities there are in taking care of such creatures. 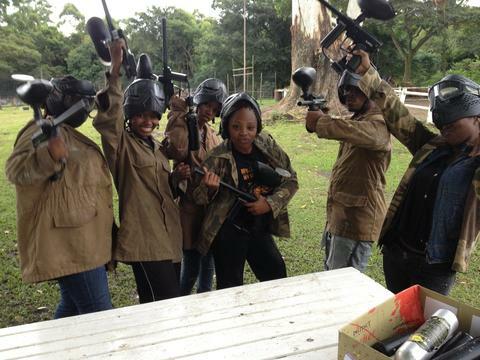 Some learners even spoke about going back to uShaka Marine World for another awesome experience. For some, the perfect staff team building/recharge day would be activities such as a relaxed lunch/picnic, or perhaps a spa session. 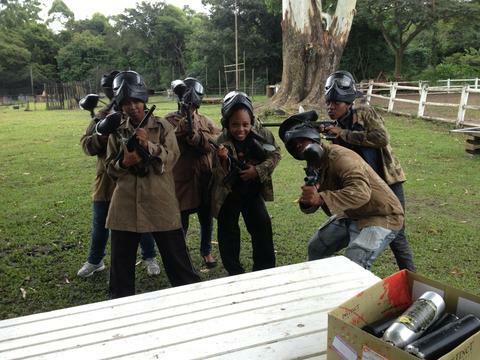 For the KZN team, it was paintballing! 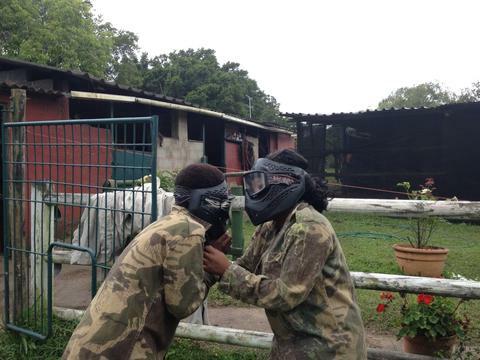 What better way to let off some steam than shooting at your colleagues? And with only one male in the KZN team, it was pretty obvious who would leave the arena with the most bruises (bwaahaaahaaahaa!!!). On the real though, we’re not a violent bunch. And the aim of the day was really just for us all to get together in a context completely different from what we’re used to. After all, that’s what IY is all about, stepping out of our comfort zone, taking over new territories, fighting battles, and coming out of them battered and bruised at times, but victorious in the end. This simulated battle was the perfect way to start the new year. For me, it reminded me that even when I have attacks coming from all sorts of angles, I have a team that’s got my back. Lunch at a local shisanyama was the perfect ending to a fantastic day spent with an amazing group of people with one common goal: making a difference in the lives of the disadvantaged communities we work in. We had an opportunity to share a few laughs, get to know each other, more so our newest team member, Nelisa Luhabe, outside of work. With our tummies fed, we’re all geared up for action, and anything the new year has in store for us. Watch out 2013, the Avengers are here!!! My name is Talent Chinogureyi. I am 19 years old. I joined Ikamva Youth in the year 2009 as I was doing grade 9 at Bonela Secondary School in Durban, after my school received an advert from this organization in search of less privileged students from less privileged communities who are passionate about passing in-spite of their financial standing. I was found worthy enough to partake in this program. Consistently I attended throughout and I really benefited from it. Since I joined, I noticed a sudden slight increase in my marks in almost all my subjects. Late in grade 9 we were required to choose subjects that we would like to do in grade 10 up to matric. I chose Physical Science, Mathematics, Accounting, and Life Science, alongside English Home Language, IsiZulu and Life Orientation. These were the subjects that everyone else was running away from because of the failing rates. Well, I told myself that I could do it. With support from my teachers at school and my tutors from Ikamva Youth, I really made it. I wrote my final exams and passed. Though I got the symbols I wasn’t expecting, considering all the work I put in, but I did passed with a bachelors degree pass, very much better that most of the students I matriculated with. At Ikamva we had ‘Winter school’ were we engage in some activities, these included career guidance. They did really enlighten me about various careers available out there and what it takes to reach there. They even went ahead in inviting some people who can be our role models and mentors. In really enjoyed it because I had an opportunity to speak one-on-one with someone who is doing it already. Looking back to my family’s financial instability, I thought I wasn’t going to reach university despite the fact that I passed. I just applied, for the sake of trying my luck. The universities I applied to include, ‘St Augustine College of SA’, which was introduced to me by Thabsile, Ikamva Youth District coordinator. Just after the results came out, I received a message from this College offering me a place to study BCom(PPE) . I couldn’t accept this offer yet because I didn’t know where the funds were going to come from. Then a week later, I received an email notifying me that I have been given 90% bursary towards my tuitions to study this course, with the accommodation paid for. I was really overwhelmed, I couldn’t believe it because I had already told myself that I wasn’t studying this year at all because I tried to apply for student loans and some bursaries that I knew of, but they couldn’t grant me any because I’m not a South African citizen. At this College no work is to be submitted hand-written, only typed work is to be submitted. My gratitude goes to Ikamva Youth for one of their programs called ‘Operation Fikelela’, where they taught us how to use computers, right from the basics. Now I do not have any problem concerning my assignments. “YOU ARE A STAR! YOU HAVE IT IN YOU TO REACH THE TOP! GO FOR IT AND NEVER LOOK BACK!” These were the words from my class teacher – my motivation! Right now, things are not easy at all, university is unlike secondary school, but with these words I’m still upon my two feet. On the morning of the 16th of February IkamvaYouth; practically; began the process of changing lives. As hordes of excited learners trooped into the hall there was a tangible sense of expectation in the air; the stakes are high; we had a brilliant Open Day and now it’s time to deliver. One cannot help but be humbled by the commitment levels of the schools; parents and learners. The Nombulelo Senior Secondary School principal left the comfort of his home on a Saturday morning to make sure that the school hall was ready for our use. The Ntsika Senior Secondary School principal continues to transport the learners in a taxi to make sure they are not late for sessions. Learners from Khutliso Daniels Senior Secondary School know that the principal has taken a very active interest in their progress while they are in our programme and this gives them that extra push. It is indeed the beginnings of greatness for the learners in this Joza Township of Grahamstown. IkamvaYouth is in operation. This would not be possible without the selfless involvement of our volunteer tutors. From both Rhodes University and the township community they came; responding to a call of helping youth succeed by fully utilising education as a tool for success. We look forward to a year of exceeding expectations!!! Orange is the colour, North West is where we @. IkamvaYouth continues to grow; a new branch has been established in Ikageng Township, Potchefstroom, in the North West. This branch has been honoured with an Orange IkamvaYouth logo, a warm and inviting colour, the colour associated with the gentle warmth of the sun. 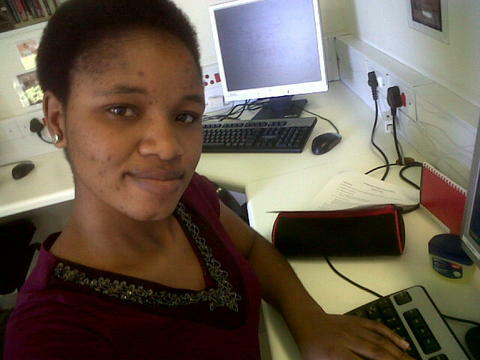 Our new Branch Coordinator, Zanele Mdletye is putting the IkamvaYouth print in the North West. We are pleased to announce that ground work in establishing a new branch in Ikageng has begun! IkamvaYouth has since received a warm welcome from the community of Ikageng. Four schools are on board with the programme, learner recruitment forms have been issued. The learner response has been awesome. We are on the verge of securing office space as well as tutoring venue, negotiations are in progress. 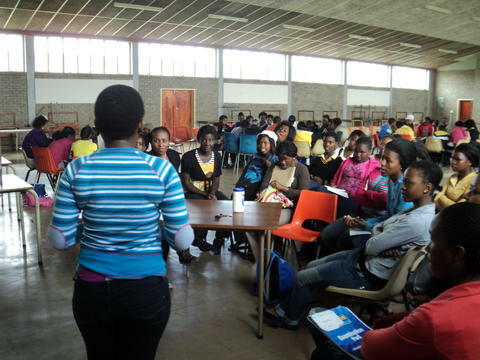 The North West University, Potchefstroom Campus recently gave us a platform to recruit for tutors. We are still navigating our way with Vuselela College and Agricultural College. Our mission is to recruit a dedicated army of volunteers to start tutoring learners by the end of February. We are looking forward to working together with the community of Ikageng to achieve better results. Those inspired by Orange are always on the go! Watch this space.